Cedar Cove neighborhood in Chapin, South Carolina is located on Lake Murray. Most of the homes have three bedrooms, but a few have two bedrooms and square footage is between 1460 feet and 2450 feet for these lovely homes. This neighborhood does have an association and the fees include clubhouse, tennis courts and community pond access as well as common area maintenance. Cedar Cove located in District 5 of Lexington/Richland Counties. To reach Cedar Cove from Chapin, take US-76 E. Continue past Cedar Cove for eight miles, still using US-76 E, and you will arrive in Irmo. Cedar Cove is about twenty miles away from downtown Columbia and all the features of city life. Chapin, South Carolina, incorporated in 1889, is located to the west of Lexington and the southwest of Columbia, the capital city, both of which are centrally located in South Carolina. 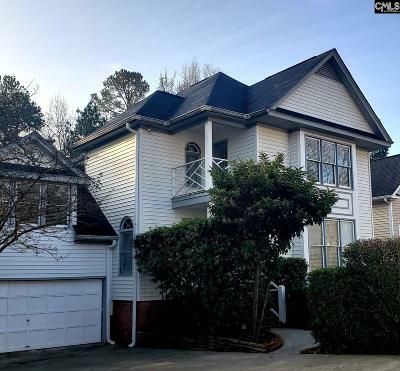 Chapin is located just fifteen minutes from Irmo and the Columbiana Mall/Harbison Boulevard area with its vast variety of dining, shopping, and entertainment opportunities. Head into Columbia and find even more opportunities for shopping, dining, and even more varieties of entertainment options, to include a number of museums, theatres, collegiate activities, three rivers, a number of greenways, and even the award winning Riverbank Zoo and Botanical Gardens. Chapin, SC is a quaint small town that is growing, but continues to keep its small town appeal. Located on the north shores of Lake Murray providing residents with vast opportunities for water sport activities, to include boating, sailing, swimming, skiing, and even scuba diving. With Dreher Island State Park located here, there are also opportunities for camping and hiking. The Town of Chapin also has several parks, the largest of these being Crooked Creek Park, a 57 acre park that houses a large community center, providing residents with a variety of indoor and outdoor activities from which to choose. No matter what you might be looking for, whether a quiet stroll, or an outdoor concert, Chapin gives you quiet rural life just minutes away from urban excitement.